Red Velvet is my favorite of the flavors! A little chocolate, a little vanilla, a lot pink. It’s also the prettiest, perfect for a fun Valentine’s Day treat. Add all ingredients to a blender and mix. 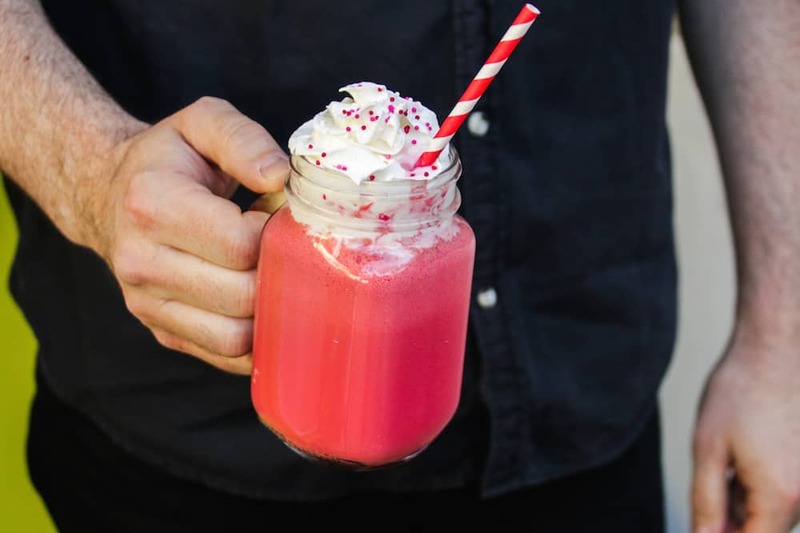 Pour into glasses and serve with whipped cream and sprinkles. Yum! Love the color ! Can’t wait to try this! 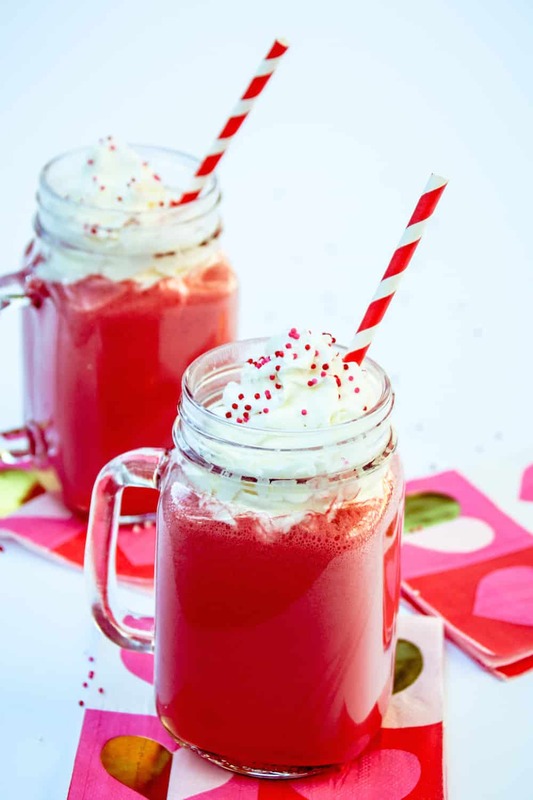 The mason jar with a handle is the way to go for this yummy Valentine’s Day treat! Oooh! Sounds delish! Will of course make for the kids with the real intention for me!!! Lol. This sounds so good! I can’t wait to try it. Yummi goodness! I am going to surprise my kids with this!